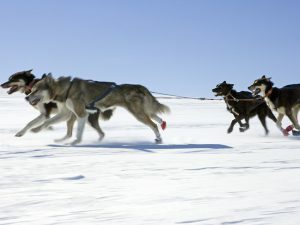 Fancy Dog Sledding in the Arctic next week? Expedition doctor needed at short notice on salaried position with full logistical backup and satellite communications infrastructure to provide remote medical cover and working with a small group on a building project site constructing a much needed community school in the remote village of Forte, about 90 km from Alto Paraíso beside the Chapada dos Vaedeiros National Park in the Brasilia region. Ideally the doctor must be able to cycle each of the four days and bring their own road bike along with them. Must hold a full driving licence also. Please contact gemma@acrossthedivide.com as soon as possible if you are interested. 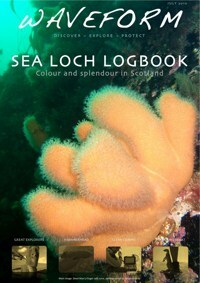 In March of this year Mark Hannaford was lucky enough to get a fantastic photographic project down to South Georgia and the South Sandwich Islands with the Scott Polar Research Institute (http://www.spri.cam.ac.uk ) and the South Georgia Heritage Trust (http://www.sght.org ). Mark tells us about this project, SPRI and the amazing history behind these islands. “Prior to landing I asked a colleague, well known naturalist Dr Peter Cary, if it was realistic to compare South Georgia with the Galapagos Islands and his reply ‘only if you want to downplay South Georgia’. Which surprised me but the islands lived up to and exceeded any expectations that I had. MSF doctor Anna Greenham who describes work and life in the Somali region of Ethiopia. “Life in the Somali region of Ethiopia is tough. The rains have failed, food is running out and even the camels are dying of thirst. Add to this a complex armed conflict and you have a recipe for disaster. Nomadic people can’t find water or grazing for their livestock and are forced to travel huge distances to survive. Many have lost everything. Without a livelihood they move to the edge of towns where they live in squalid conditions in very basic shelters, unable to access clean water or food. It is in one of these small rural towns, Wardher, that MSF provides the only reliable health care for a dispersed population of about 40,000 people. Denny Levett is a Specialist Registrar in Critical Care and Anaesthesia at UCL. She is the deputy director of the Centre for Altitude, Space and Extreme Environment Medicine at UCL and has extensive experience in expedition medicine. Denny has research interests in altitude medicine and diving and hyperbaric medicine and is a keen climber and diver. She was the Expedition medical officer for the Caudwell Xtreme Everest research expedition in 2007 (www.xtreme-everest.co.uk) responsible for more than 250 climbers, investigators and volunteers in the field. She was also the expedition Deputy Research leader and is currently completing a phd in altitude physiology. In 2005, Denny worked as a diving and hyperbaric medicine fellow at the Alfred Hospital, Melbourne, Australia treating divers with decompression sickness. She has spent nine months working as the expedition medical officer on three marine biology diving expeditions in Africa, Fiji and Oman. Denny has also worked as a Medical Officer for ‘Across the Divide Expeditions’ since 1999. She has accompanied groups on hiking, white water rafting and mountain biking expeditions in remote locations including Guatemala, Nepal, Patagonia, Lapland and Peru. Each of our training courses has a specific charity partner and in the case of our Polar Medicine trainiing course which is held in northern Norway its partner is located at the end of the world in the southern polar region and our money supports the work of Dr Peter Cary and his SubAntarctic Foundation for Ecosystems Research (SAFER). Recently Expedition Medicine in partnership with Across the Divide Expeditions sponsored the design, printing and shipping of new SAFER T-shirts for enabling better branding of the foundation, a greater sense of identity amongst its field staff and as a fund-raising tool by their sale. Eight members of the extreme Everest team, which includes Across the Divide and Expedition Medicine medic Dr Denny Levett, summited last week. As if this wasnt hard enough, they also had the energy to take arterial samples from each other at 8450m and carried out some further scientific studies at the south col. We are always in awe of people who are driven and brave enough to climb to these altitudes but am completely humbled by the fortitude of the extreme Everest team. Good luck and well done to them all, their support team and sherpa guides.